For recreational, technical, commercial, military and rescue Scuba Gear and Scuba Diving Equipment The Scuba Doctor is your one stop, online dive shop. Please feel free to dive about our online dive shop and explore new scuba diving, snorkelling, freediving, spearfishing, swimming and water sports product releases and our comprehensive range of popular equipment. Huge Range: The Scuba Doctor test dives what we sell and we hand select the manufacturers that we deal with so that you only get the very best diving and other watersports equipment. The top brands we sell include: AP Diving, Apeks, Apollo, Aqua Lung, Catalina, Cressi, Dive Perfect, Divesoft, Dolphin Tech, Faber, Gadget Design, HOG, Intova, IST Sports, JBL, Light Monkey, Light & Motion, Mares, McNett, Miflex Hoses, Nautilus LifeLine, Northern Diver, OMS, Probe Wetsuits, Salvimar, Sea & Sea, Seaka, Shearwater Research, Sonar, Suunto, Tusa, Underwater Kinetics, Waterproof etc. Everyday Low Prices: We have the widest range of diving, snorkelling, freediving, spearfishing and watersports equipment at low prices every day. Extensive Stock: At The Scuba Doctor you'll find just what you need. We have extensive stock of the equipment you need which ensures fast delivery of the basics: masks, fins, snorkels, boots, gloves, BCDs, regulators and cylinders. We also stock dive products such as dive computers, instruments, underwater cameras and lights, dry suits, wet suits and knives, plus complete dive equipment packages. Customer Service: Our passion for customer service is what sets us apart. When you shop with us, your Satisfaction is Guaranteed! Professional dive staff are always available to offer trusted advice on dive gear selection. Most of our customers are repeat customers that know the reassurance and back up we provide if you have any problems with items purchased from us. We service and repair every line we carry. If you are a new diver or snorkeller, an advanced or technical diver, a freediver or spearo, we have all the gear you require. Our advice pages offer you the best expert advice available and can be accessed at your convenience. If you prefer to meet us in person our dive shop is open 6 days a week, including weekends and public holidays. 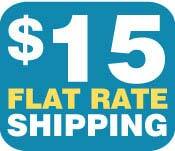 $15 Flat Rate Shipping on most orders Australia Wide. Free delivery throughout Australia for most orders worth $1000 or more. Shipping: Located in Rye on the Mornington Peninsula south of Melbourne, Victoria, we ship Dive Gear and Snorkelling packages daily to: Sydney, NSW; Brisbane, Cairns, Queensland; Adelaide, South Australia; Perth, Western Australia; Darwin, NT; Canberra, ACT; and Hobart, Tasmania. All items from The Scuba Doctor are shipped in trackable satchels or parcels, mostly using Australia Post. The Scuba Doctor accepts no responsibility for any items once dispatched. If you are not happy with this method of shipping we recommend you request additional insurance to cover potential losses. Insurance price may be obtained upon request. If you are requesting Express shipping, you MUST e-mail or call us for your shipping charges. Discrepancies may occur with automatic shipping calculations, it is up to the customer to call prior to purchase under these circumstances. International Orders: We no longer ship outside of Australia. We do accept orders from customers in some overseas countries for delivery within Australia. 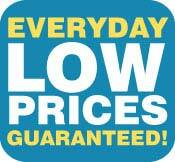 Some of our web prices are cheaper than in-store. So please mention to our staff that you've seen them online. Copyright © 2005–2019 by The Scuba Doctor Australia, ABN 88 116 755 170. All rights reserved.